Enterprise Mobility Management providers, or EMMs for short, are companies that set up and manage mobile devices for other companies. The first EMMs in Google's program are BlackBerry, Google Cloud, I3 Systems, IBM, MobileIron, Microsoft, Softbank, SOTI, and VMware. All of these match Google's criteria for Android EMMs, which include, "Experience across multiple Android Enterprise implementation types," "A consistent deployment experience, with admin consoles that simplify set-up of Android Enterprise," and more. 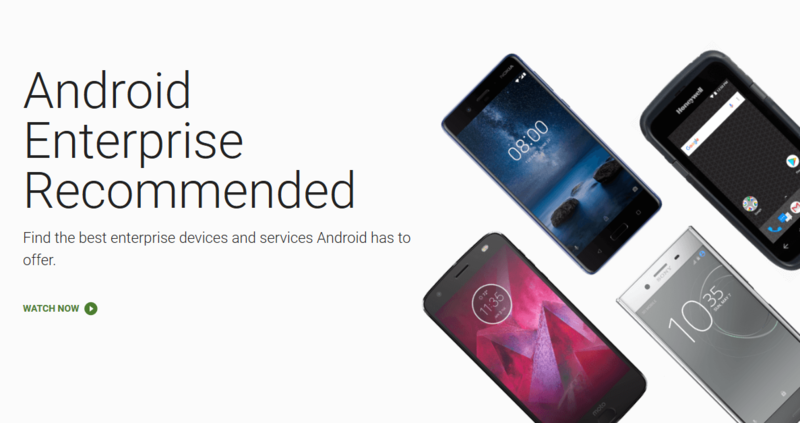 Google says it will add more approved EMMs over time, and more information can be found on the Android Enterprise site.